RAs share a sense of intellectual curiosity, strong interpersonal skills, and a proven ability in writing, analysis, and problem-solving. Some positions require excellent interviewing or advanced computer skills, including experience with statistical packages. For other positions, we require or prefer experience in a specific business or fluency in a foreign language. 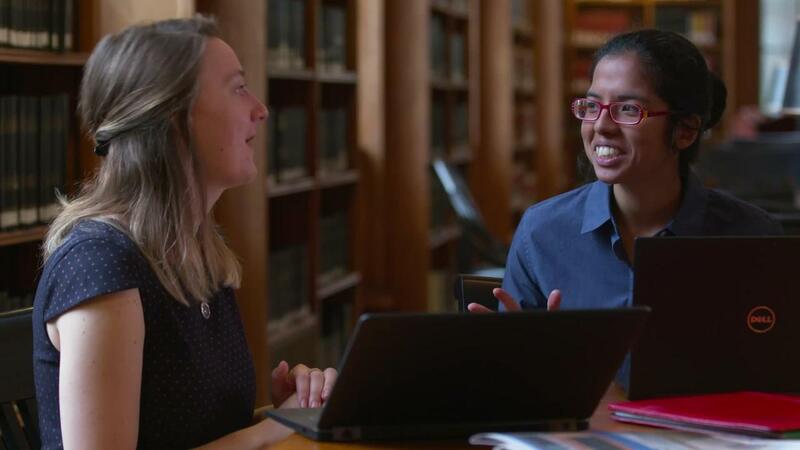 As a Research Associate, you’ll find yourself meeting people and exploring issues and topics that open up new worlds, both professionally and personally. Research Associates have the time and resources to dig deep into research, with the guidance of faculty who are thought leaders in fields ranging from entrepreneurship to finance to organizational behavior. It's a demanding, satisfying process, resulting in academically rigorous products that have the power to change business practice and thought across sectors and industries. Many RA opportunities are ideal for Pre-Doctorial candidates as these positions represent a powerful opportunity for qualified candidates to expand their research resume before pursuing doctoral studies. Although these positions are not affiliated with the school’s doctoral program, they offer a wide variety of faculty-driven research challenges - from the collection and analysis of data to sourcing and support for academic publications -plus a generous Tuition Assistance Program (TAP) benefit toward pre-requisite courses. Whatever your situation, you’ll enjoy the advantage of intellectually challenging work that can be balanced with other interests and responsibilities. The bottom line? There is no typical RA, because no two RA positions are identical.